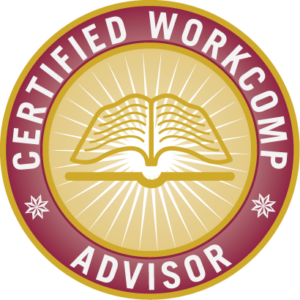 Our Claims Impact is a free too designed to assess your work comp program and provide you with a scorecard to evaluate your current solution. You’ll also receive tips to improve your program and lower overall costs. We have given our employees a copy of our written policy requiring all accidents/injuries be reported within the first twenty-four (24) hours. Why 24 hours – studies show late reported accidents cost 34/5 more and have more attorneys involved. We have established a process and practiced what happens in the first 60 seconds after an accident occurs. Make a plan that works for your location (s). When is 911 called and who should make the call? Who has been trained in basic first aid? Where is the first aid kit located? Where is the closest hospital? Time is crucial, be organized, don’t panic. We have personally met with and established a relationship with the medical facility that will treat our injured employees. Would you go there for treatment? Help the provider understand you want your employees to get the best quality care and get back to work quickly. Our medical provider understands our expectations for our employees injured on-the-job. Injured employees need to return to work as quickly as possible. Staying out of work (unless in hospital, contagious, medicated or at total bed rest) is not really in their best interest. Do you know if your open claims reserves are being monitored before the claim information is sent to NCCI? If so, are you receiving reports detailing the outcome of those claim reviews and do you know the dollar amount of any claim reserve reductions? Don’t confuse claim review meetings with actual results in getting those reserves lowered. Have you been shown how your open claims affect your experience modification factor and the financial impact you could see if the reserves were lowered? This information is available and will provide insight on the true costs of accidents. It’s also helpful to share this information with your managers and supervisors, but protect the confidentiality of the injuries and talk about costs. We have provided our employees with their responsibilities (in writing) when injured on the job? They keep all scheduled medical appointments. They follow all of the doctor’s instructions. They keep their supervisor informed as to their condition and work status after every medical appointment. Do you educate supervisors and employees how injuries impact the organization? Insurance companies do not pay for work place injuries, YOUR Company does! This is an important message to communicate. We provide modified full-duty and transitional duty for our injured employees. Remember, at times a slight modification in either the duties or the hours of their regular job may be satisfactory for the medical provider. If not, have a transitional job description available. We understand we are not required to pay full regular wages if the injured employee returns to modified duty. In most instances, if the employee is returning to fewer hours or less duties, less pay is appropriate. Adjustments can be made for reduced number of hours or duties different than normal. We believe our current agent is really looking out for our bottom line. We are! 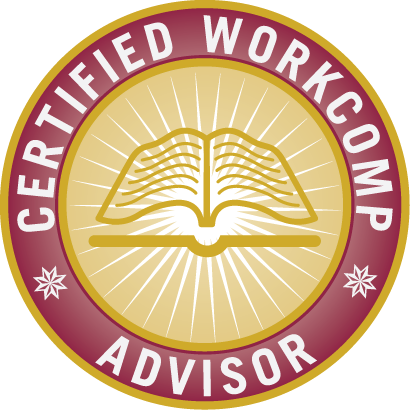 That’s what we do, that’s why we took the extra step to become a Certified Work Comp Advisor. Did you know that in Nebraska, medical only claims are discounted 70%? This is a major factor to be aware of. Common bad advice usually given: pay small claims out of pocket or pay deductibles.